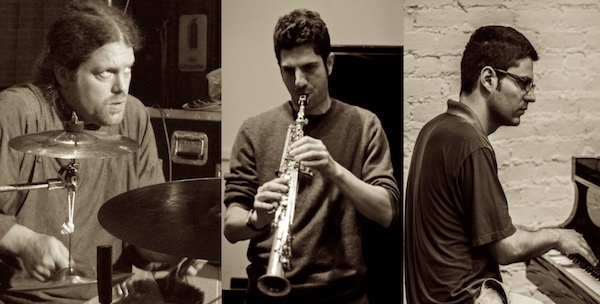 Drawing from a multiplicity of experiences as improvisers this trio with saxophonist Dan Blake playing soprano and tenor, Andrew Drury playing drums, percussion and objects and Ricardo Gallo on piano come together for a multilayered and rhythmic fueled collective spontaneous creations. Dan Blake, Andrew Drury & Ricardo Gallo Trio at Terraza 7 on Thursday, April 27th, 2017 at 9:00 pm. No Replies to "Dan Blake, Andrew Drury & Ricardo Gallo Trio"